Last month I was back in CA to help host an animal-themed baby shower. It was super cute with green and yellow as the party colors. I was in charge of prepping the honey pot favors, decorating diaper cakes, and baking some panda pastries that I tried to pull off as teddy bears. There was so much amazing food, desserts, games, and decor thanks to the expecting couple’s friends and family. 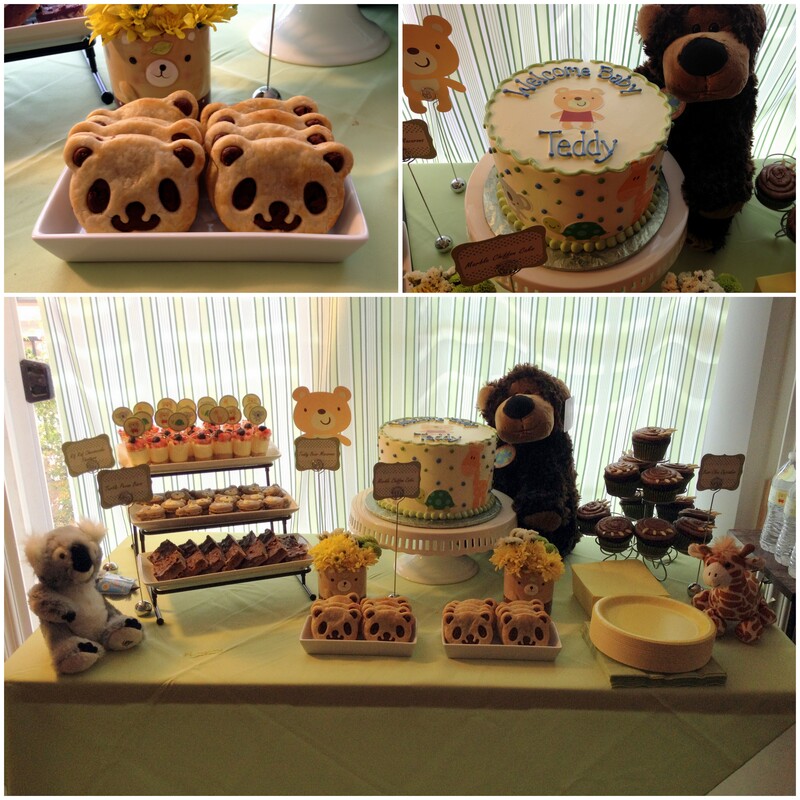 Amazing dessert table by Kim of The Ravenous Couple with my pandas posing as teddies. It’s definitely baby season. Sadly I won’t be able to make it to the next two baby showers, but I’ll get to meet four new babies when I return to CA in the summer. So excited for the babies!! 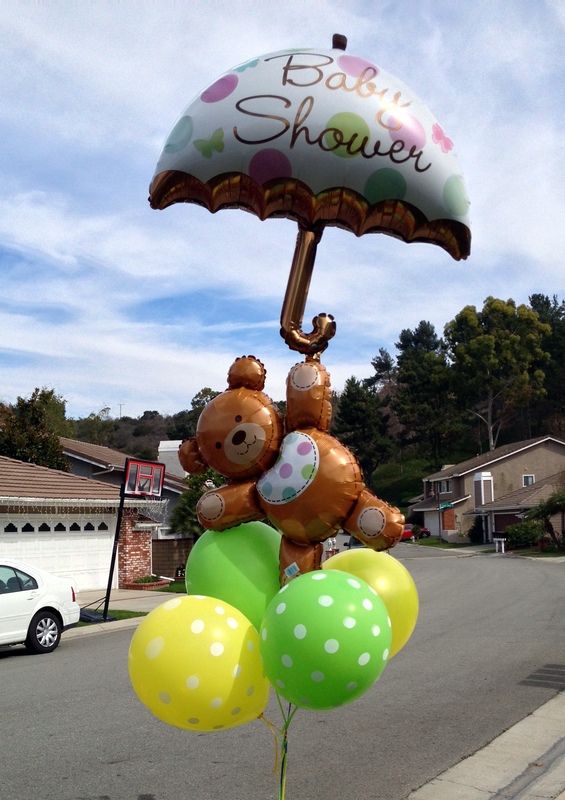 This entry was posted in Babies/Kids, Decorations and tagged animals, baby shower, diaper cakes, teddy bear shower. Bookmark the permalink.